Batchler in operation Theatre Technician (BPMT) Is eligible to apply and what is the age limit for ex servicemen of Army? Mazi 12th complete zali ahe mala mpsc karayche ahe mi kasa study karu ani ankhi Kay karu plz suggest Kara. Can I give Bank exams along with all UPSC and state commission exam. Is there any restriction on appearing in number of government exams to appear. Hello sir,I am supriya Berde.I have completed BA .B.Ed this year,I am also interested in mpsc exams please guide me which post suitable for me? I lot of study . My aim is succes the mpsc. here all posts are basic in nature… no suitable post wrt your field. sir I am in Bcom 2nd year, I want to crack MPSC exam …..will you please suggest me which will be the best post for my field as it will help me in my preparations…Kindly reply me as soon as possible. Hey hi my self Ajit I’m B.com 3rd year student at beed maharashtra… I will also attempt mpsc exam tax Assistance post… B.com field is very correct degree for mpsc exam you can do it mpsc exam..
Study Hard. U will get success . is deputy collector is class 1 (Group – A )officer? Hi sir,i am also facing same plm i wanted to study hard but lack of knowledge abt mpsc,sir, i wanted to join mpsc plzz give mi proper guidence hw to start ..
how can i start now ? First thing anyone you need to do is to check MPSC exams schedule and apply for it Either Online or Offline. Now note down the syllabus for prelims and mains and just go through the previous year question paper to get an idea about pattern. Here comes the part of planning – Go through the academic calendar of MPSC and calculate how much time is left for exam. Find out the best study material for preparation either online/offline or friends. Many aspirants refer to unique and Dnyandeep Academy. Buy them and study them carefully, don’t refer to all the publications available in market stick to only few. First few months only cover topics of prelims as in mains there are much more topics and this will boost your confidence. Now at last you are the one who is going to study and clear the exam. So, proper dedication and time management is required and if you can manage your studies systematically result will be good. hi i am nikesh in 17 years, sir i have a join PSI post. sir mazi PSI honyache swapn (dream) aahe please you can help me. abbhyas (study) tar khup karavasa vatato pan kay vachu kay study karu tech kalat nahi. please sir mala tumachya margdarshanachi garaj aahe. Sir what is meant by tatya cha thokla..? Can u plz explain it to me? Plz…. Plz plz give me information. I have campletd diploma in engineering but i have to become deputy calectar it is my gole for that which type book i should repair . Can I know whether Sub Inspector in Maharashtra State excise is Class 2 or 3 post? Congratulations to you on your effort to motivate new generation towards Police Services. Please keep one section of your website related to moral policing also. As govt job has become a synonym of money making machinery. And I want to start my career in govt. Field , I m so confused what I do? Being engg. student is not so hard to prepare for mpsc.I’m also a BE student n preparing for mpsc…..just go for it.Get the syllabus from mpsc website. 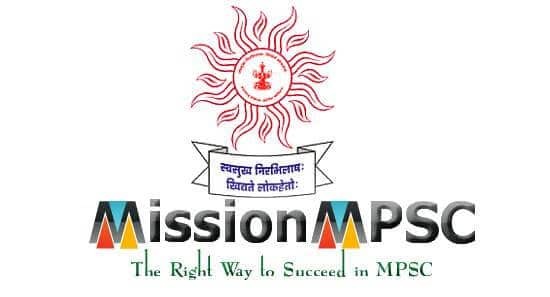 Exam and is it compulsory appear in MPSC before UPSC……. I am graduate in Fashion designing .For which MPSC post I have to study? Sir I have completed my Masters in Engineering. For which post will be suitable for me ? Actually, there is nothing like which post will be suitable according to graduation. MPSC is a Compact version of all general studies subjects and even in service at class 1 level. You will have to administer and multi-task at a time. But if you want to go in technical field, there are exams like State Engineering services. Sales tax inspector comes under which class ? ?class 1 or 2???? STI POST is Non-Gazetted Class2 Post. Sir my wife is graduate from geographic sub. Which MPSC exam and post sutaible for my wife. Hi sir, Im hake sidheshwar from ahmedpur m.g.m college student i will make a S.P. Which books i should refer according to your opinion, plz guidance me. mpsc chya exam denyasathi height vagaire asane important ahe ka? Sir I’m in 2nd yr mech. engg, I want to start MPSC exam preparation, so how I start my preparation…..to achieve my goal for PSI post….. please help me…. civil engineering chya exam madhe 3 pots astat…. tyat 2 class 1 and 1 class 2 post aste. sir i m studying in TE what should i do to enhance my knowledge.which book should i refer?? sir i m shashi now in t y bcom. Sir,I completed my engineering in Computer science. 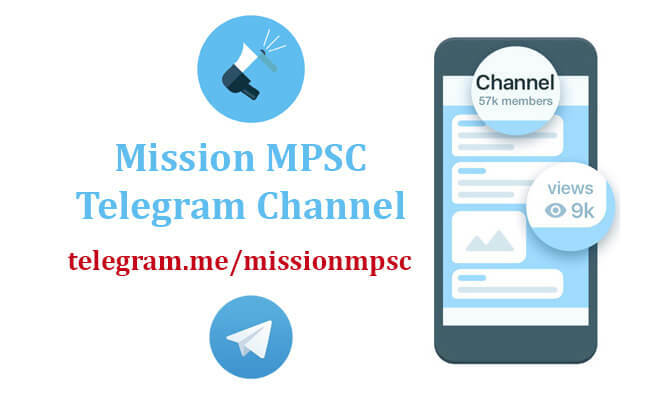 For which MPSC post I have to try ? Bachelor’s of Mangement studies Degree.??? Tahsil.. I want to start preparing this post. So how can i start study. there are need joint academy? Currently i’m in S.Y.B.A.Can i gave MPSC exam before completed My Graduation. sir i am BE Appear. can i elligible for MPSC? Hello sir, I have completed BCA and after that MBA ( HR,Fin). Please suggest me which exam of mpsc I have to give.Deputy collector exam is suitable for me. Depends Upon UR Dedication and Efforts you take while preparation. Yes. It is Definitely Possible. My name is Diksha. I had completed graduation in computer science. I want to become BDO. So sir according to you how should i prepare for this post. I am serving an Indian army after 17 years I retire from army can I eligible for mpsc which posts and also addl qualification for mpsc exam info me. Concentrate on Books of Graduation And For MPSC read Basic books(7th-10th) first. Try to clear your concepts thoroughly. I am 28years old. I have no more idea bout MPSC. If i started preparation at this age with full time job. Is it possible by me? SIR I M WORKING IN NATIONALISE BANK, MY AGE IS 30. NOW I WANT TO PREPARE FOR MPSC, BUT DONT HAVE ANY IDEA FROM WHERE TO START, POST AND WHAT IS THE SYLLABUS. I NEED YOUR GUIDANCE. I want to be a class one officer. Which book should i refer ? I want to be class 1 BDO officer but just have passed 12th…how can I start my studies regarding this post? First comprehensive book would be the OFFICIAL SYLLABUS! Read it properly, try to get hold of it first. It will clear the picture, you will know that GS-1 is not just History and Geography but it comprise Environment and Agriculture too. History: State board 5th to 12th, Grover and Grover would do good but if you still want some reading, get Bipan Chandra’s books. Geography: State board 6th to 11th, Paryavaran aani Bhugol in Marathi by A. B. Savdi. Environment: Internet, Shankar IAS’ notes for environment. Use Internet wisely. It’s your best book for environment! Agriculture: Almost 30 marks! No kidding!! Get state government 11th and 12th Agriculture, Maharashtra cha Bhugol by A B Savdi, Internet. HRD books by Unique Publications and by Ranjan Kolambe. Syllabus related topics from IYB. Relatively new topic for MPSC, so no traditional sources are available. Internet would come really handy here. Again, GS4 is not just about economics. It contains Agriculture, Science and Technology. Economics: 80% of syllabus – 11th NCERT, Ranjan Kolambe, Ramesh Singh, Mrunal. Science and technology: Syllabus will guide you, follow daily news paper and relate it to topics in SnT, Mrunal. That’s it, above books would suffice. At the end of the day, your approach would decide the strategy and right choice of books. No book is perfect, try to get the syllabus done point to point, no matter what book or source. And one more thing, it can be done, have faith in yourself! sir mi ty bsc(it) madhe ahe mala in office wrriting padavarchi post havi ya sathi mi kontay book prefferd karu? @poonam या पोस्ट ला Qualification B.Com with 55% किंवा CA किंवा MBA किंवा M.Com ची अट आहे.